"Winnebago” by Foo Fighters (1995) - Back when the news first started leaking that Dave Grohl was going to have a self-recorded post-Nirvana project, there were more than a few questions floating around every radio station, magazine article and MTV News announcement that mentioned it. Looking back now, it’s crystal clear that there has rarely been a debut album as strong and as silencing as Foo Fighters was. Filled with some of the best guitar riffs and hooky choruses of the entire “alternative decade,” the album turned out to be strong enough to handle the baggage that came from the ashes of such a revolutionary, genre defining band. Just ask anyone else who has tried it. It’s no easy task to say the least. Amazingly though, it wasn’t just the entirety of Foo Fighters that was filled with incredibly awesome songs. Even the B-sides to the singles were seriously unbelievable! In fact, one of my absolute favorite Foo Fighters songs of their early material didn’t even make it onto the U.S. release of the album. It did however make it onto the flip side of not one, not two, but three of the singles! “Winnebago” is quintessential early Foo Fighters and it has the unmistakable tone of their “all Dave” debut release. Grohl wrote, played and sang everything on it and it has the gloriously distorted guitar tone and the sledgehammer drumming that fingerprints that first album. 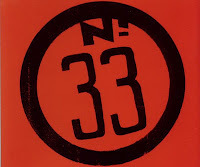 “Winnebago” has the distinction of being the B-side to the very first Foo Fighters release. 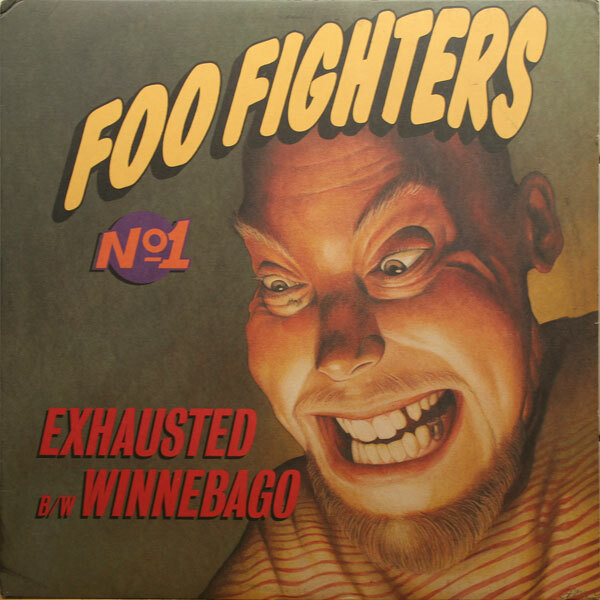 It was on the 12” promotional single of “Exhausted” that was released to radio stations about a week before their first commercially available single for “This Is A Call” came out, which coincidentally also had “Winnebago” as the B-side. “Winnebago” showed up again as the B-side for the “Big Me” single that was released in early 1996 as well. 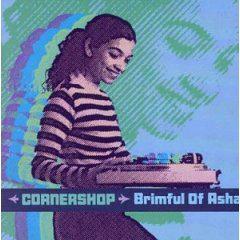 “Brimful of Asha” (Norman Cook Remix) (1998) – Amanda and I were lucky enough to get to go to London for our Senior Trip and it was filled to the brim with super cool musical moments. The second I found out we were going, I started making my plans to visit Abbey Road Studios. There was absolutely no way I was going to get that close to my musical Mecca without visiting it in person and I think our principal knew I was going to make it happen one way or another. For one of our outings, he graciously offered to split the class and make a “special trip” with a few of us. The only thing that could’ve made visiting Abbey Road any cooler was having Amanda with me and getting to share it with her was quite an unforgettable moment for me. While Abbey Road was definitely #1, another strong music-related memory was Fatboy Slim’s faster, vibier remix of “Brimful of Asha” playing everywhere we went! I was familiar with Cornershop’s original that had come out the previous summer, but when Fatboy Slim’s remix came out, it straight blew up in the UK. Cornershop even enjoyed greater success over here, eventually re-releasing the single with the remix as the B-side. This song seriously piqued my interest in Fatboy Slim, so when “The Rockafeller Skank” single came out just a few months after our trip, I was a Fatboy fanboy. It’s pretty cool when you get introduced to an artist via a remix and end up enjoying the remixer’s catalog even more than the original remixee’s… or something like that. “My Blue Heaven” – The Smashing Pumpkins (1996) – In my opinion, one of the coolest things to do for a B-side is come up with a really cool cover, especially the “out of left field” ones. 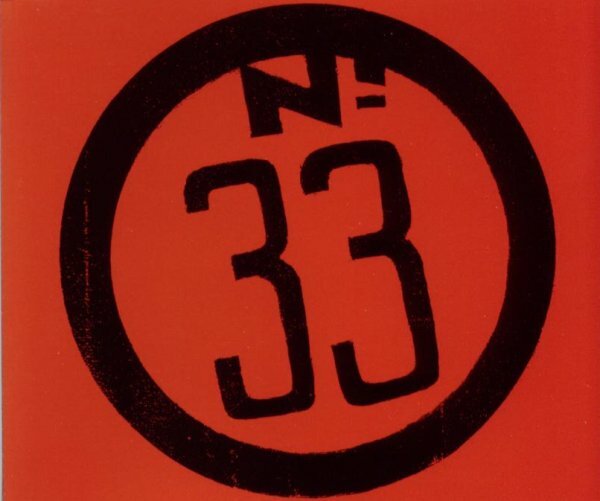 While The Smashing Pumpkins were neck deep in the riff heavy, multi-guitar track (70+ on “Thru The Eyes of Ruby” alone) recordings of the Mellon Collie and the Infinite Sadness era, they threw a gorgeous piano-led cover of the 1920’s standard “My Blue Heaven” onto the B-side of “Thirty-Three.” I absolutely adore (get it?) this song for a variety of reasons. First, the song itself is stunning in its simplicity and in the way Billy Corgan’s unique voice somehow carries it perfectly. Second, it was such a stark departure from what The Smashing Pumpkins were doing at the time. Remember, this was the album that gave us “Bullet With Butterfly Wings,” “An Ode To No One,” “Zero” and “Tales of a Scorched Earth.” Granted, there were a lot of quiet moments on Mellon Collie, but nothing like “My Blue Heaven” had come from their camp. Third, this was the last Pumpkins album I truly loved. I got hooked on Siamese Dream, I went back to find Gish, geeked out on Pisces Iscariot and deeply immersed myself into Mellon Collie. Unfortunately, I just never got into what they were doing with Adore, Machina I and Machina II and they just dropped off my radar as far as new stuff goes. So I guess the B-side of the last single they released from the last album of theirs I obsessed over holds a bit of a significant, nostalgic spot for me as well.